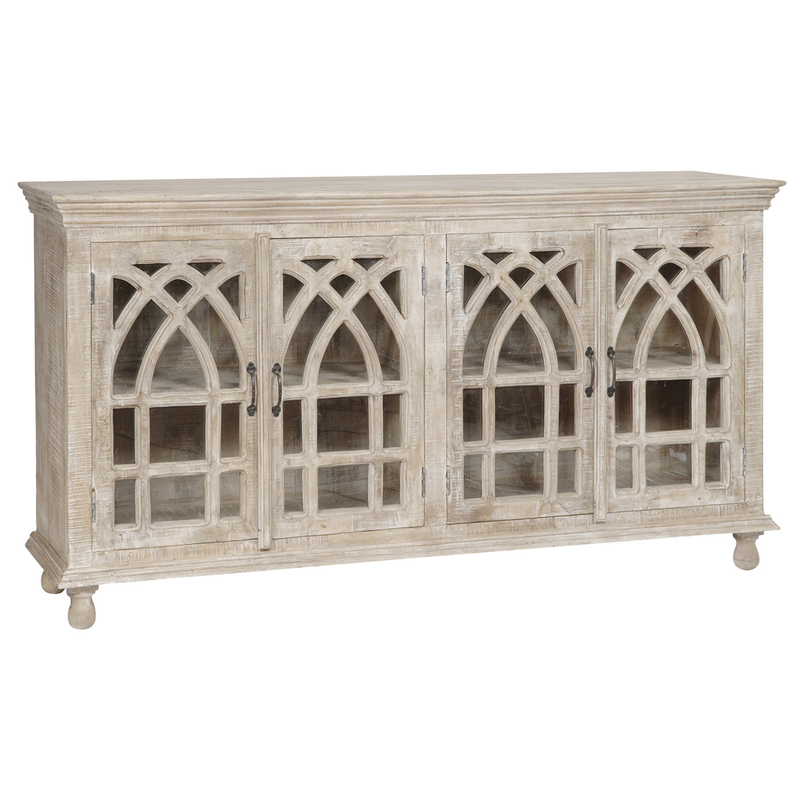 Perfect for your tropical dining room, the Bengal Manor Light Mango Wood Cathedral Sideboard is the perfect blend of style and craftsmanship with a cathedral door design in light finished mango wood. Ships from the manufacturer. Allow 1 to 2 weeks. Cannot express ship this beach style furniture. For further products, we ask you to take a moment to browse our full variety of beach style cabinets at Bella Coastal Decor today.